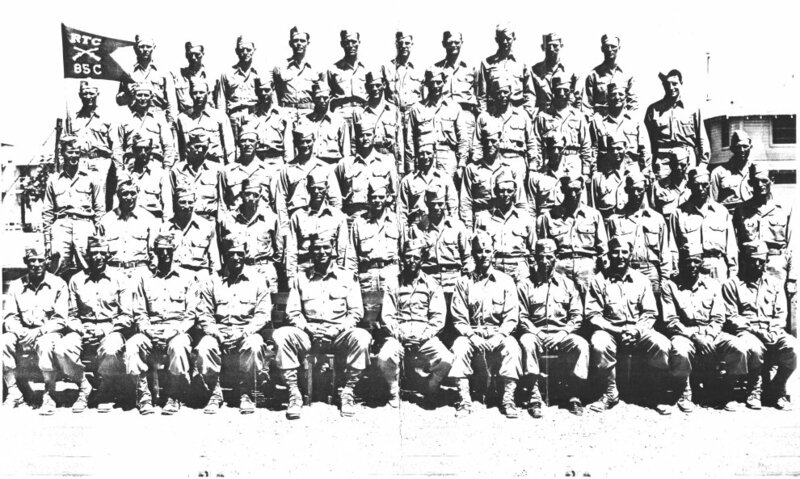 This is a photo of Company A, 52nd TR BN, taken in 1942 at Camp Robinson, Arkansas. 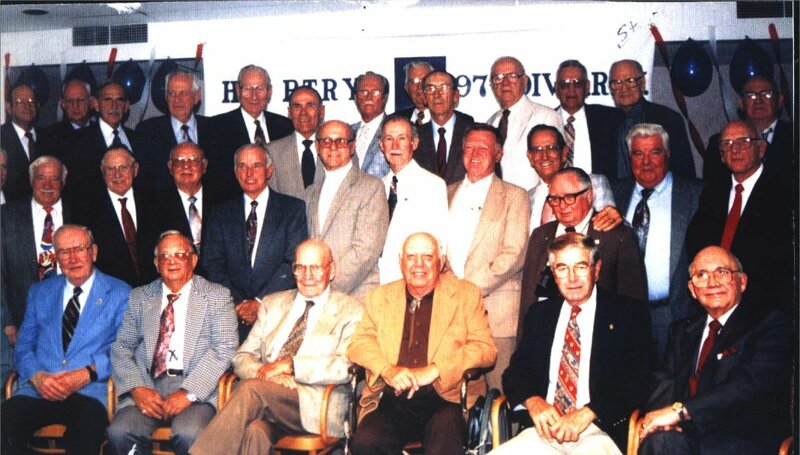 My father, Joel H. Radcliffe, is the 12th soldier from the right in the first seated row. 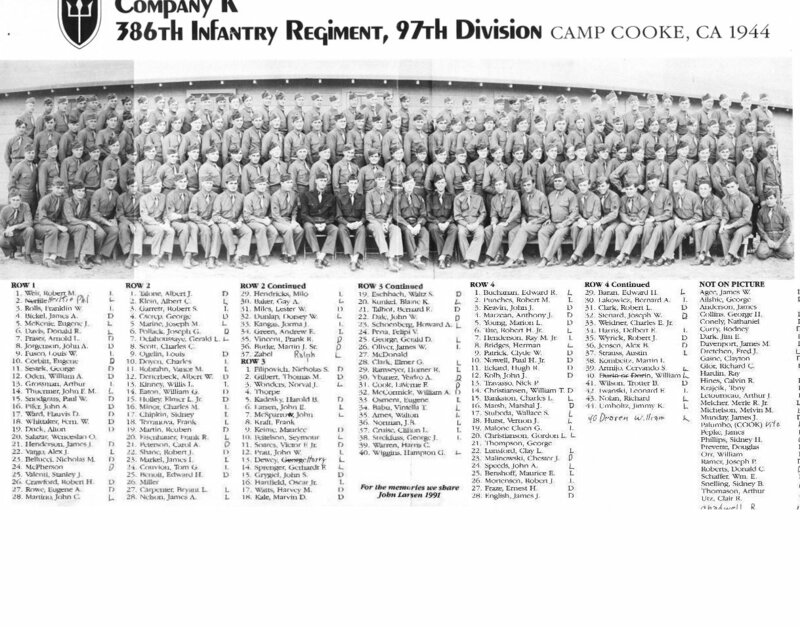 Later my father was in Company B and then became Captain of Company C, the position he retained until he was relieved of active duty in 1945. 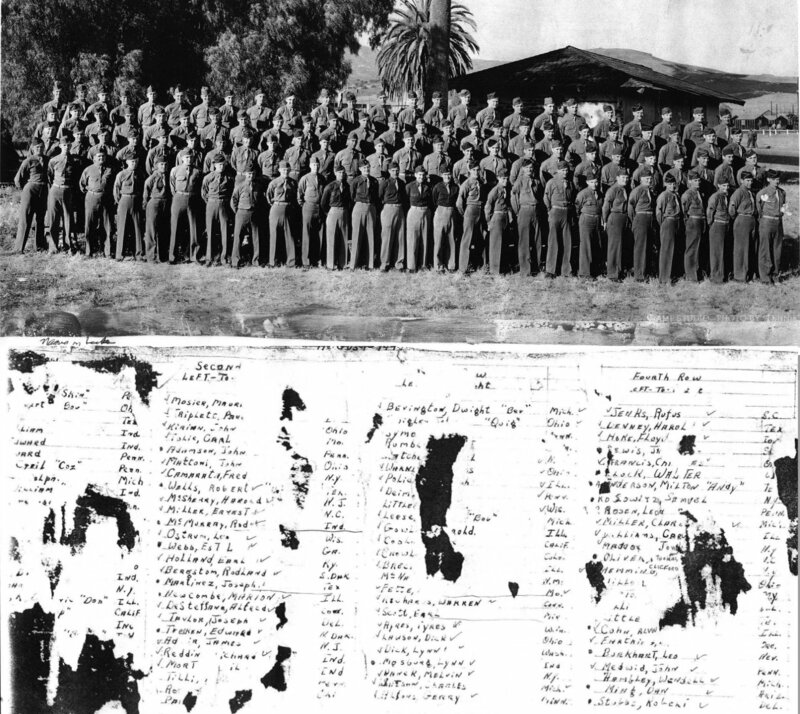 All these companies were part of the 387th Infantry. 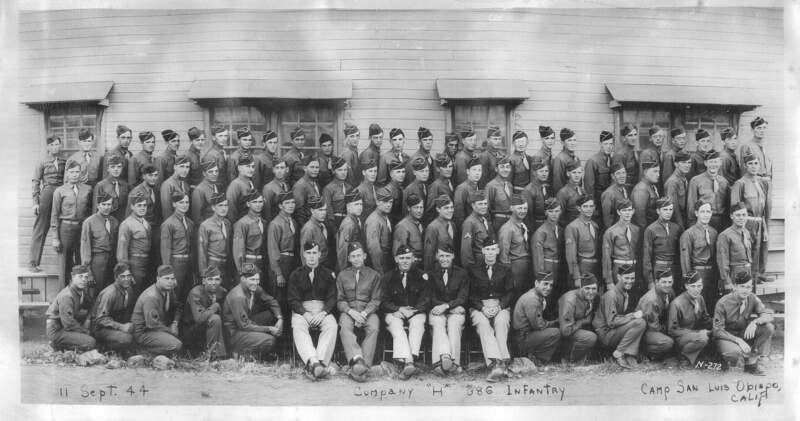 (FROM Jay Costa -"I believe this picture is of Headquarters Company, my father, John J. Costa, was with them from 1943-1946. Paul Allen was in the same Company as my father.") Photo contributed by Paul R. Allen. 2. WOJG Clarence Parent, Portland, OR. NOTE: These ID's are from memory and some records. After my discharge I enrolled in Bowling Green State University abd the Senior ROTC program. 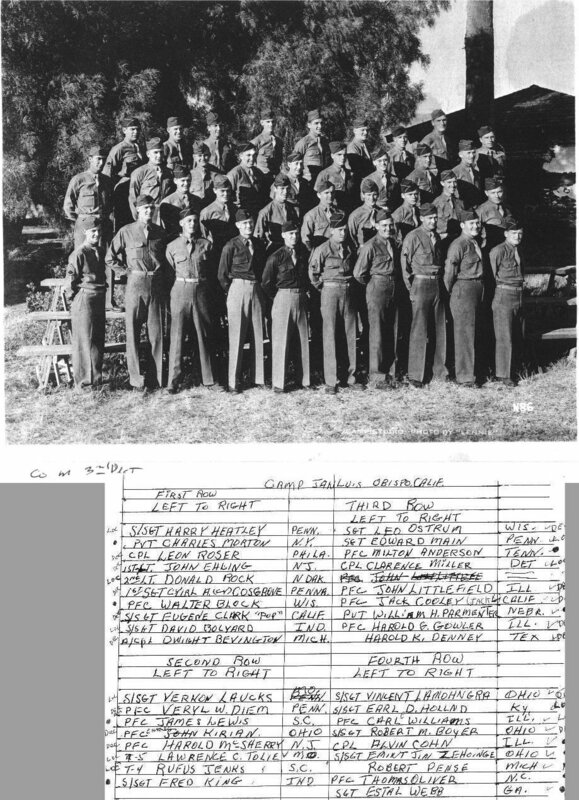 I received my commission as 2nd Lt. May 30, 1952. 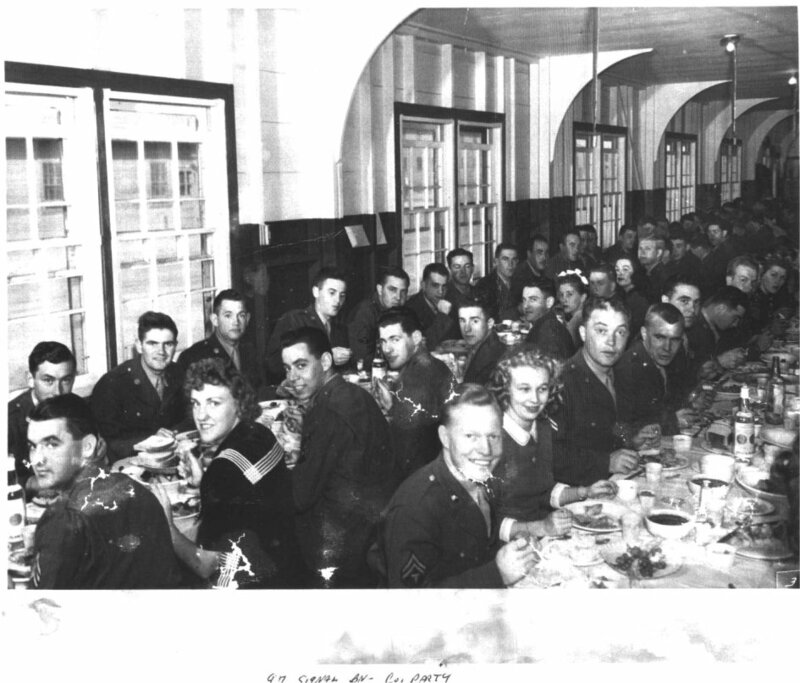 Discharged from the Reserves on Mar 11, 1953These are the only pictures I can identify. 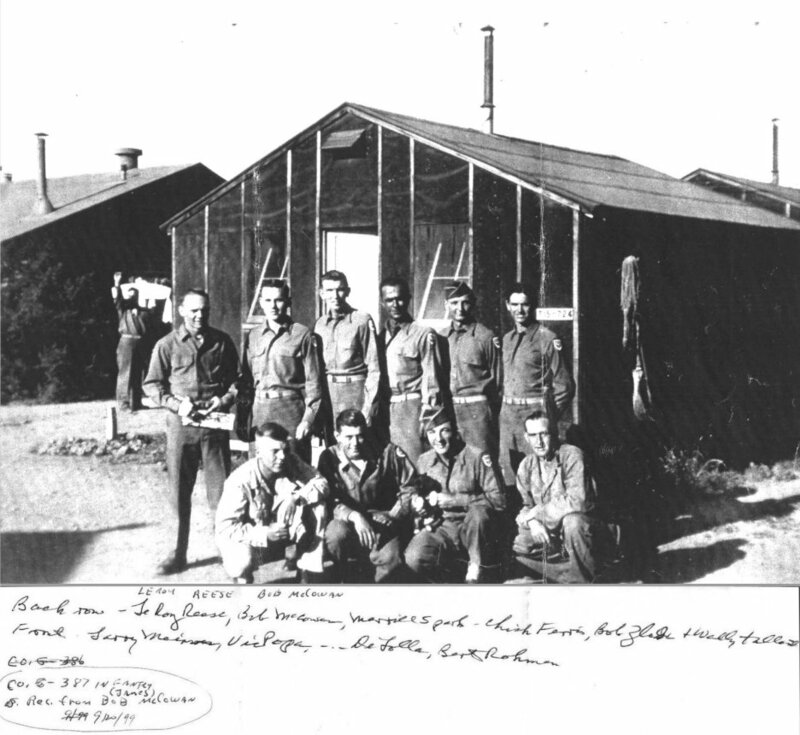 The enlisted group made up most of the personnel section. After being discharged I've had no contact with any of the above. Joe Noviaski opted to stay in Japan after being discharged rather than return to the States in February 1946. Sgt Jolly was 1st Sgt of the ROTC company at Bowling Green State University where I took the ROTC program.